Many different businesses desire reliable, responsible cashiers. Land the job that you want with a strong cashier’s resume. Start by listing all of your cashier experience, and make sure to include the skills you utilized to succeed in those roles, such as proficiency with point-of-sale systems and strong math skills. Stand our further by adding skills such as conflict resolution and strong communication skills. Finally, add in any special skills and training you have received, such as loss prevention training. Need more ideas to make your resume stand out? 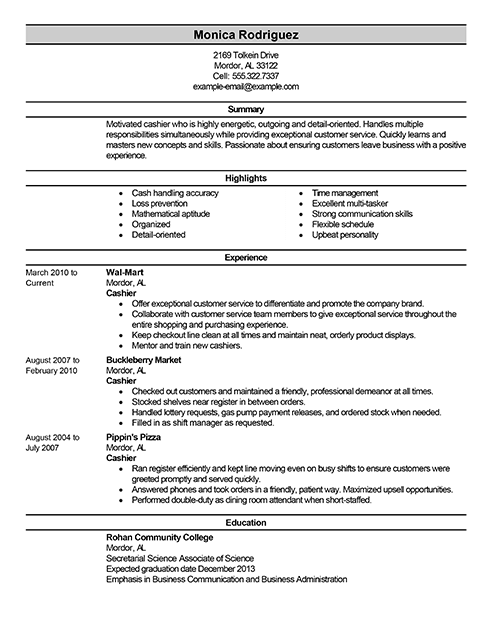 See our cashier resume example. 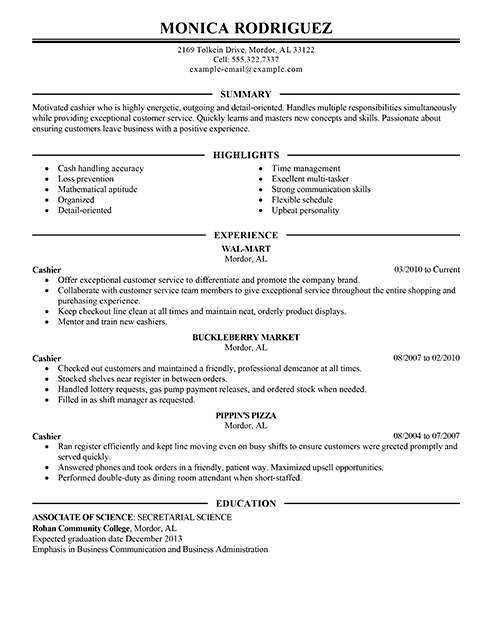 The right resume can help you find a position as a cashier. We’ve got resume examples that show off everything cashiers do, from closing the deal on store sales to providing customer service. 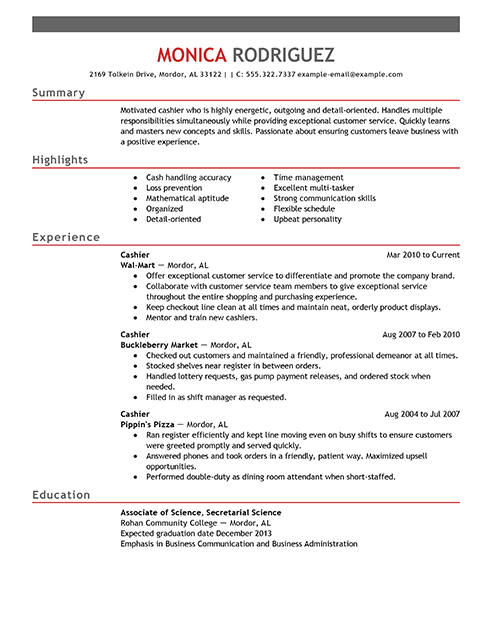 Check out our sample resumes below. If you’re looking for jobs as a cashier, you’ll want to make sure you’re using the most effective job seeking skills. The tips below should help keep you on track during this time. 1. Stay positive. Having a positive mindset is crucial to keeping things in perspective and reminding you that your unemployment is only temporary. You might consider joining a support group to connect with others in your situation. 2. Find a part time gig. If you’re overwhelmed by financial stresses, you can always find a part time job. Plus, you never know where these opportunities could lead. 3. Make a plan. Setting goals for yourself that can be accomplished on a daily or weekly basis is one of the most effective ways of maximizing your productivity. For instance, you could try sending out a certain number of resumes per week. 4. Connect with your network. Don’t hesitate to reach out to personal or professional contacts that could offer insight into the job market. Their time and advice will be valuable, and you never know where the next lead is coming from. 5. Make use of social media. Websites such as Facebook, Twitter, and LinkedIn can help expand your network. These sites are also used by potential employers to access your professional profile. When it comes to finding jobs as a cashier, your resume will be your calling card. Keep your resume in top shape with the following tips. 1. Don’t exceed two pages. Unless you’re a doctor or academic using curricula vitae (CVs), there is no need to write more than two pages. Keep your resume writing brief and concise. 2. 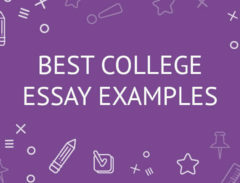 Do align the text flush left and use bullet points wherever appropriate. 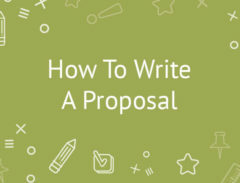 These simple formatting tips will greatly improve the organization and clarity of your writing. 3. Don’t rely on generic language. Overly used phrases such as “hard working” or “team player” won’t add much to the individuality of your experience. 4. Do introduce your work history section with a “Summary of Skills” section. Doing so offers your reader with an at-a-glance view of your qualifications.